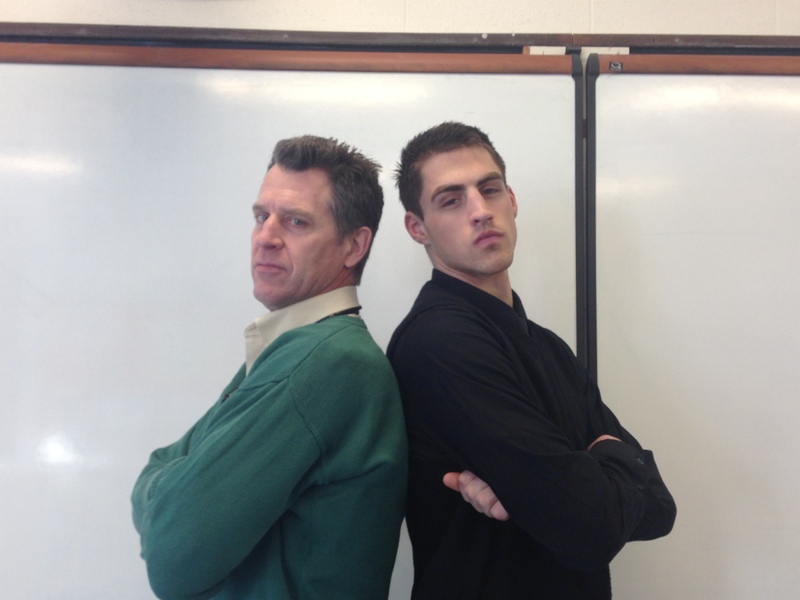 The faculty of AHS will take on the students in the annual teachers vs. students basketball game on Thursday, March 13, in the Dunn Gym. A tradition for four years, this rivalry is a great way for the teachers and students to come together outside of the classroom. Although it’s just a game, both teams take the event very seriously and each is willing to go the extra mile to win. So far, the students have maintained most of the victories in the past four years. The amount of people who show up to support the student team has grown steadily since the tradition started, so the Junior Board of Directors is looking to the Jungle this year to rally the troops and get students to cheer on their fellow classmates and friends. Mr. Hibino, who coaches the junior varsity basketball team, plays for the teacher team, and said, “The game is a great opportunity to continue to develop the rapport between faculty and students.” Hibino believes that the teachers will be looking to come out on top this year, since the students won last year. Joe Benjamin, one of the leaders of the Jungle, will be playing for the student team for his second time. He said that winning this game is his way of revenge for the hours of homework and studying he does for the teachers. Rachel Cormier, a junior, plays point guard for the girls varsity basketball team; however, this is going to be her first time playing against this particular type of competition. Cormier is a little intimidated to play her teachers, because she does not know how competitive they will be. “I could definitely see some aggression coming out in some of them, which makes me kind of nervous, but I think it will be fun to play them,” she said. Previous Previous post: It’s That Time of Year…TOURNAMENT TIME!